She changed the game, just by asking the right questions. On her 49th birthday, Cynthia Mallard went in for a routine screening mammogram. She had a family history of cancer. Her mother had been diagnosed with breast cancer in her late 60s, and with nearly 30 years experience in cardiac and pulmonary health care, Cynthia knew the odds. For several years, she and her closest friend had been scheduling their mammogram appointments together, a way of making sure they each went every year. Cynthia didn’t tell anyone else about the screening and she didn’t tell anyone at all when, the very next day, the Breast Imaging Center radiologist, Dr. Lesia Jackson, identified something on the mammogram that she considered highly suspicious. Thankfully, one of the technologists at the Breast Imaging Center was a longtime friend and stood by her side for the procedure. The next afternoon, Dr. Jackson called Cynthia back into her office to tell her that she was positive for ductal carcinoma in her left breast. She was referred to a specialist, Dr. Paula DeNitto, and had an appointment the very next day. At home, Cynthia began searching the Internet for information on breast cancer, mastectomies, and various reconstructive options. She met with Dr. Cannon that very afternoon and, as a health care provider, Cynthia knew the right questions to ask. 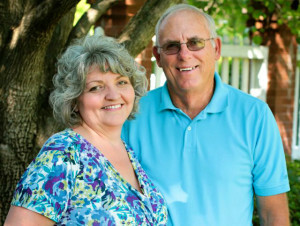 In consultation with Dr. DeNitto, she had decided upon a double mastectomy, and so Dr. Cannon went over her reconstructive options, describing, among them, DIEP flap reconstruction, in which he would use her own tissue in order to create a living breast (and without sacrificing her abdominal muscles). Cynthia had undergone previous abdominal surgeries, including two c-sections, which can compromise the tissue and blood vessels needed for successful DIEP-flap reconstruction. During her second visit, Dr. Cannon spent two hours with her and her husband, reviewing the results of an additional CT-scan and confirming that, yes, she was in fact a candidate for the procedure. On Friday, March 2, 2012, less than one month after her diagnosis, Cynthia underwent a bilateral mastectomy and DIEP flap reconstruction. Hers was a 12-hour procedure, with Dr. Paula DeNitto performing the double mastectomy and Dr. Cannon overseeing her reconstruction. The chances of discovering a second breast cancer following an initial diagnosis is low—for women with unilateral breast cancer, a subsequent contralateral cancer develops in 0.5 to 1.0% per year, with a cumulative risk of 15%*—and prophylactic (preventative) mastectomies are generally indicated based only on genetic studies or a patient’s own desire. Her insurance company, of course, wanted to play it by the book. They denied the prophylactic procedure, but Cynthia disputed their decision and won a victory that has changed the game for women who may have to follow in her footsteps. Cynthia’s insurance company—which happens to be one of the very best—has since revised their policy regarding coverage for removal of the contralateral “normal” breast in women with breast cancer. Cynthia has no regrets: “I could have gone to Charleston or New Orleans and had this procedure done by someone with a little more experience, but I would have met that that doctor one time and been far away, in a hospital I didn’t know. “Having my surgery here in Savannah, I was able to be close to my family and friends. I was taken care of by co-workers, who treated me like family. I felt so comfortable and reassured when I went home, knowing that Dr. Cannon was just a phone call and a few minutes away.